Great, courageous and selfless leaders are those willing to confront the material anxieties of their people as the occasion arises. There is a great anxiety in Guyana as to the good life for the ordinary man as promised by the government. After three and a half years in office, the Government has spent some GYD$1.1 trillion in four consecutive budgets since 2015, and it is clear that the benefits are not trickling down to the poor and the working class. Thus, it was not surprising that the results the 2018 Local Government Elections (LGE) clearly reflected the people’s disappointment with the PNC-led coalition. It was an electoral shellacking. Today, the people are faced with a more pressing anxiety. It has been said that the health of any nation’s leader is intricately intertwined with the economic health of that nation. And while we wish His Excellency a swift return to good health, the realities from the last six months have illustrated that the people are being kept in the dark. They are not being told the full truth. It is irresponsible and highly offensive for the PNC-led coalition Government to continue to attempt to play with the people’s intelligence. Their public pronouncements over the last six months on how the State’s business is being handled, in light of His Excellency’s health, shows little respect and empathy for the people. The people are not fools and it is a vexation to their soul to observe the almost Goebel-like statements of half-truths and quarter-truths originating from the Ministry of the Presidency. 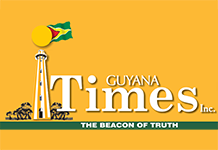 The PNC cannot abscond from its political responsibility to all the people of Guyana. What is critically needed from the PNC now is real leadership. We are therefore speaking directly to the senior leadership of the party in light of His Excellency’s illness and impending absence from Guyana again. The country is in a semi-crisis state with rumors and invectives swirling from one end of the pendulum to another. It is time for Ms. Volda Lawrence and Ms. Amna Ally, the PNC’s Chairman and General Secretary respectively to end the incessant speculations. What is happening in the Ministry of the Presidency at the highest levels demands a political solution from the PNC, the principal political party in the coalition. The party stalwarts, for far too long, have ignored this issue and it has stymied national development and brought uncertainty to the country. A nation cannot advance in such an ad hoc manner. Those at the highest levels should get out into the fields and reach out to the people so as to understand what is going on in the towns and villages. Those at the highest levels should be making the necessary but urgent decisions needed to charter the course for the good life of the people. Politics is not a game and neither is political leadership. The PNC’s leaders need to be visible, and in these times of turmoil, the nation needs leaders who are capable of making decisions in order to positively reassure the people, especially the youths, that the challenges of the times are being met. Only the leaders of the PNC are politically equipped to perform these functions since they are in Government. They can no longer be in denial and ignore the problems of the day, which remain unsolved. They must fill the political void at the apex of the Government. The country cannot be left hanging and no one’s personal interest should come before the Country’s. That is why we are calling on both Ms Lawrence and Ms Ally to step up and solve the leadership problem. To do otherwise would result in a lack of public confidence in the Government. The PNC senior leaders must apprise the nation of their plans for the near future around this important issue of leadership succession. In spite of His Excellency being ill, they must take the bull by the horns and put forth a clear picture of what they intend to do in these tumultuous times. The nation is in pain and our youths are suffering and are crying out for help. This is primarily because the PNC as a party lacks effective leadership to deal with the issues at hand. This must change. It is time for the PNC senior leaders to step up or get out of the kitchen. God bless His Excellency, President David Granger and we wish him a swift return to good health and God bless our beloved Guyana.